During the week I wrote about the “Secret Power of Brands” course that I have just completed and how the last lesson on personal branding turned out to be the most valuable to me as a blogger. I’d never really considered myself a ‘brand’ before, but my blog certainly is projecting an image of me into the world and I’d like it to at least reflect who I am as a person! I think lots of other bloggers would find it useful to have a little think about the ideas that the course shares on personal branding so I wanted to go through the process with you and maybe you could join in too. The questions that I’m aiming to answer today are those in the “What are you passionate about?” section. I realised that, even though I share information on my blog everyday, all you lovely readers might not know that much about me as a person. I’ve not really shared much about my personal life, although if you read my posts you’ll probably gather that I’m married and my nephew is one of the most awesome little people I’ve ever met, but other than that, what do you really know about me? I’d be interested to hear what you think and it would be very useful for this task so please leave me a comment below. I am a very private person – odd for a blogger, I know – but I want to share more of myself, as I think my best writing comes when the topic is more personal. It’s just finding the balance I guess. Anyway, I’m taking a deep breath and answering the questions to identify “What are you passionate about?” below. What gets you up in the morning? There are a few things and I’m not being cheeky when I say that my husband gets me up in the morning. Ok he literally does because I set an alarm to get him to work on time, but that’s not what I mean. He is one of the main reasons that I get up in the morning because we are working towards creating a better life together: a creative life where we are both doing things that we love. I get up in the morning in order to work on my writing, share blog posts and take part in creative projects and it keeps me busy (and happy) all day long. What keeps you up at night? Definitely my blog and writing as a whole. As soon as I’m in bed the ideas for articles start to flow and I write out sentences (and sometimes whole articles) in my mind. It’s a shame that I can’t automatically record these bedtime thoughts with a brain print-out or something, because it would save me a lot of work the following day when I try to remember that amazing paragraph I subconsciously wrote the previous night. Worries about the cost of living in general keeps me up at night too and I think of ways of cutting costs rather than finding more money. Life shouldn’t be as expensive as it currently seems to be so I am believe in minimising costs, making your own, upcycling, making savings etc – anything to be thrifty so that more of my money stays in my pocket rather than sitting in the multi-million pound bank accounts of massive companies. What are your core values and beliefs? I believe in love and family, the importance of friends and communication, not that I’m always that great at it. I refuse to plod through a prescribed life without imaging that it could be any different so I believe in creativity, happiness and education. And also being kind to animals. What are you for and against? The world is too consumer-driven and I hate the idea of a throwaway society, so I’m for recycling, hand-me-downs and second-hand. It’s not as thought I’m never going to buy something new but why not shop in charity stores too? I am a massive believer in supporting charities which I why I blog about important causes and write for Oxfam. I agree with charitable giving in terms of time, experience, knowledge, items – not just money. I am against poverty, homelessness, loneliness. What experiences in your life have been most fulfilling? Going to university as a ‘mature’ student, any kind of writing I’ve done, looking after and helping my friends and family when needed, teaching my nephew things. What impact do you want to make in the world? To help people believe that their life can be different in any way that they want it to be: cheaper, happier, more creative, fun, fulfilled etc. I hope you’ll have a go at answering these questions too and that they will help you find out where your passions lie. 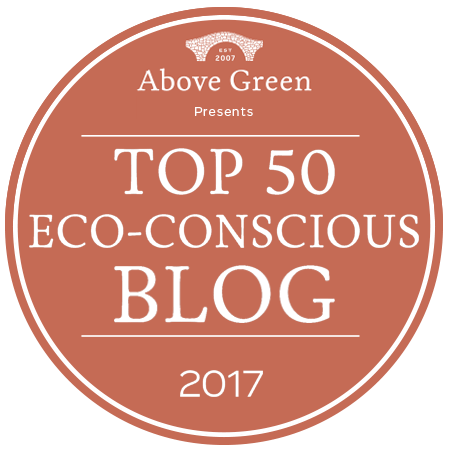 I have found out from my answers that I want to share happiness and knowledge through writing and perhaps live a thrifty life along the way – maybe that falls within the area of being self-sufficient, ecologically-sound living or recycling? Ooh I’m going to have to think about this a bit more before I can come up with a final definition for the “What do I love?” section. I will share the questions for the second – and little more tricky – segment “What are you good at?” soon and you can expect lots of flimsy, self-deprecating answers from me! This is a great post, Cassie. Good timing for me too !